When the originally nomadic Magyar people settled in the plains of Hungary, some held on to their nomadic roots and continued life on the saddle. This cultural disposition makes Magyars excellent horse archers. 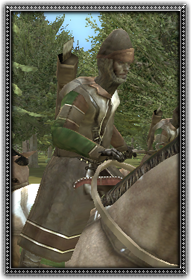 Able to rain arrows upon their foes and stay out of trouble, these natural horsemen are armed with a composite bow and wear light armour.